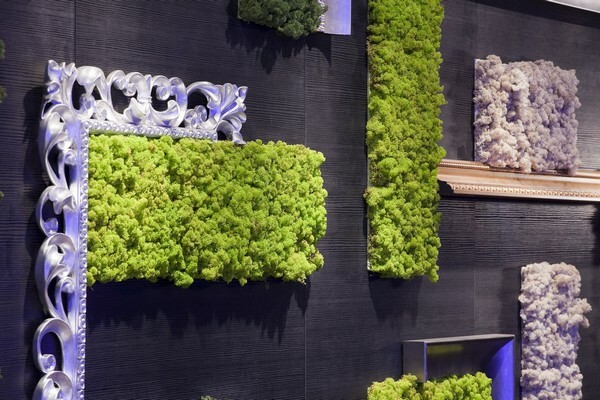 Today, "living" walls with vertical gardeningsteel, perhaps, one of the most favorite ways of designers to decorate the exterior or interior of the house. And it's quite not surprising, modern trends in fashion are increasingly based on environmental design, and people began to return more and more to the origins of nature. 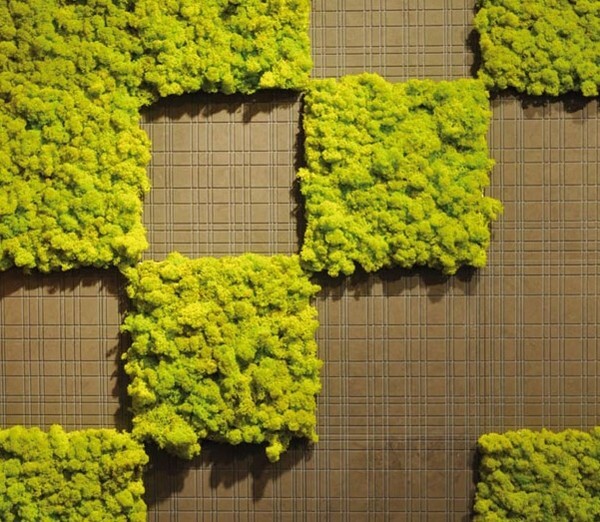 Italian design studio Benetti StonePhilosophy developed the idea of ​​landscaping the dwelling even further by developing a series of "live" MOSStile tiles from unpretentious moss varieties (lichen). The wall, laid out from such tiles, almost does not need any special care after installation. Plants need not be watered, fertilized or cut, for their luxuriant growth it is enough to keep the humidity in the room at least 50%. Moth tiles are contraindicated in direct sunlightlight, which gives owners of shaded apartments or rooms without windows an excellent opportunity to revive and green the walls. 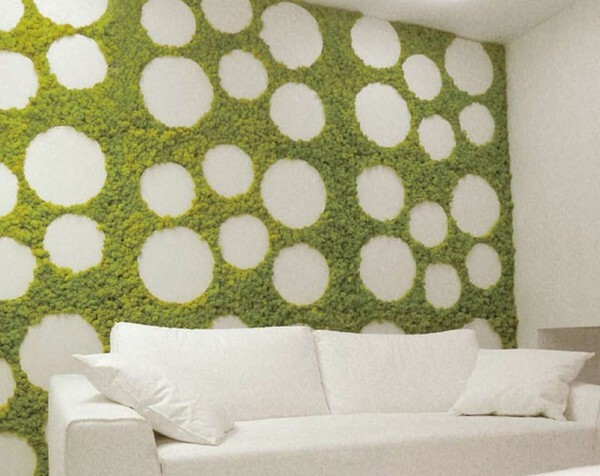 Covered with green plants, the walls not only look original and impressive, but also create a favorable microclimate in the room, regardless of what type of room is installed. 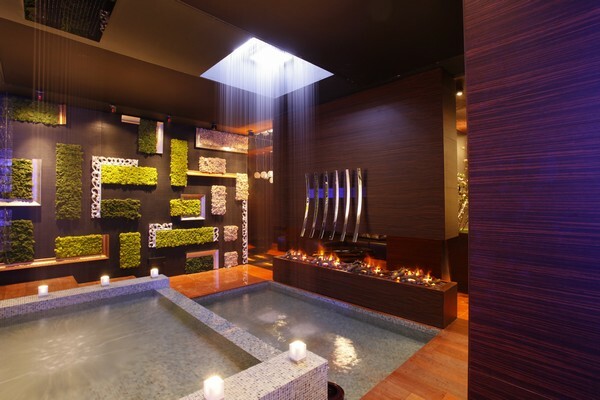 In the hot summer, living walls contribute to natural cooling of air, and in winter - to the preservation of heat. In addition, the plant walls have excellent sound insulation characteristics. The base of the Mosstile tile is made ofgum-resin without the use of chemical fertilizers or toxic materials, which makes such a wall covering really environmentally friendly and safe. 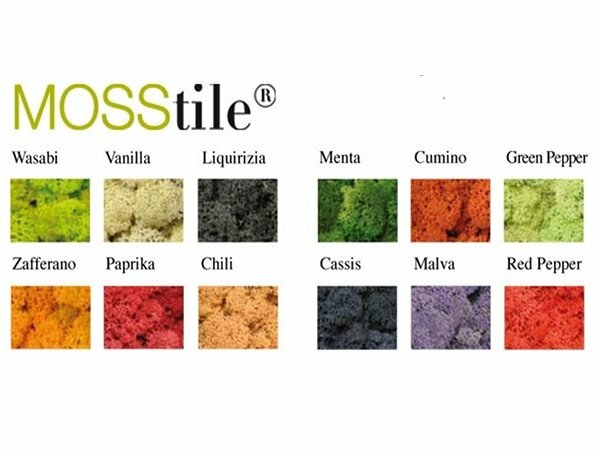 Choose live tiles can be made of 12 different colors. Vegetable tiles can be installed onvertical, horizontal or inclined surfaces, cover them with the whole surface of the wall or individual fragments - the pattern depends only on the imagination of the designer or the idea of ​​the interior. The standard dimensions of one tile are 29.8 cm by 29.8 cm.